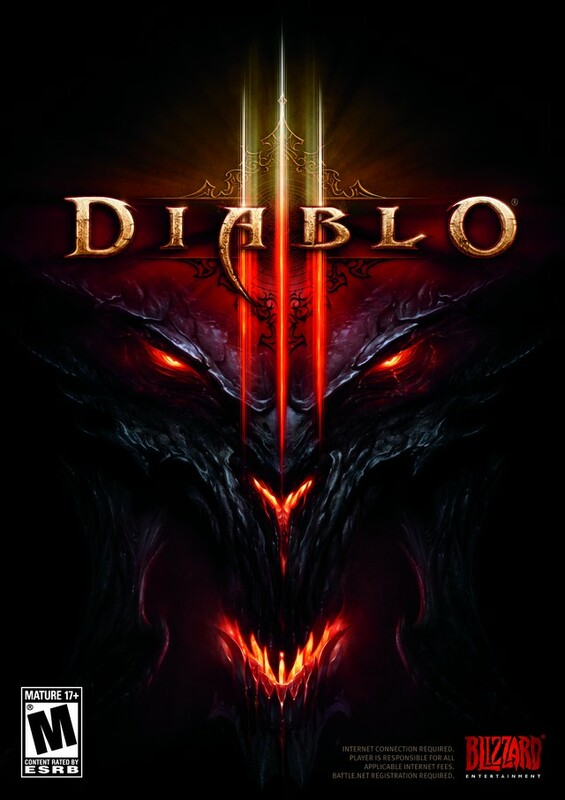 It has been twelve years since the last trip and after all these years, does Blizzard still have what it takes to keep this non-PC gamer glued to his screen whenever he isn’t sleeping or working? Many of us are all too familiar with the franchise and those that are not, well, I am sure they have heard enough to include them in the millions that had pre ordered this title, giving Blizzard some extremely huge shoes to fill. 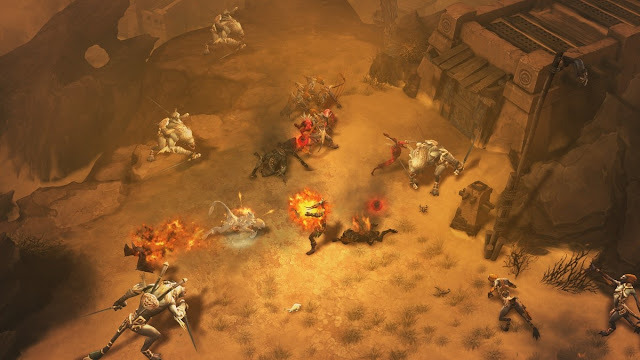 For those few that have been living under a rock for the last decade, the Diablo games are a fantasy action RPG and the third entry puts you in the shoes of one of five character classes to fight Sanctuary’s battle against reoccurring demonic evils. 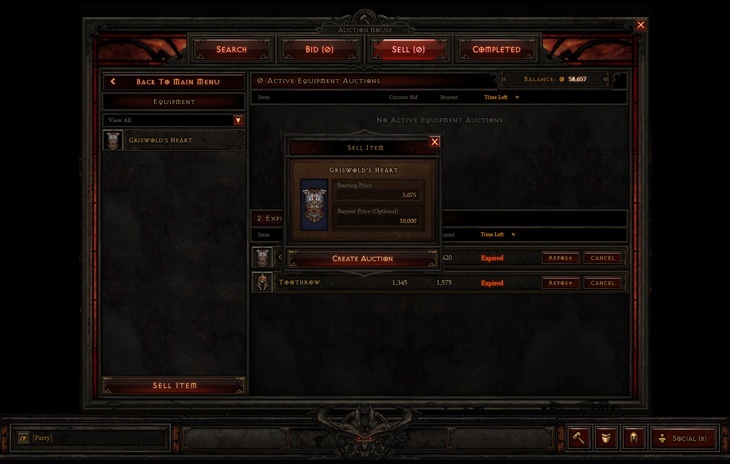 With a new skill tree system, character classes, item auctioning and compatibility with Windows and Macs, lets see how it holds up after the long hiatus. 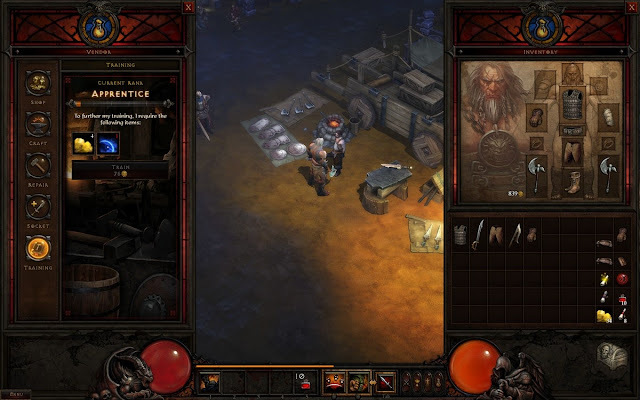 What can I say about Diablo III that hasn’t been said before? I absolutely loved the second with its expansion and though the third has its issues, it does not disappoint and will be the cause of numerous break ups and most likely some new connections as well. It is the same top down style action RPG, but more polished than the last. I am playing this on my MacBook Pro without issue and am also able to play on a work computer that is over 2 years old, so it is not the power hungry game that a lot of new titles are. The skill trees are a lot more linear as new skills and attributes are unlocked by reaching specific levels as opposed to choosing what to expand on. It does take away some from the character progression but I actually liked it more. Multiplayer has come a long way over the last decade and thankfully Blizzard isn’t living in the past, as it is easy to get games with friends and strangers alike together seamlessly. 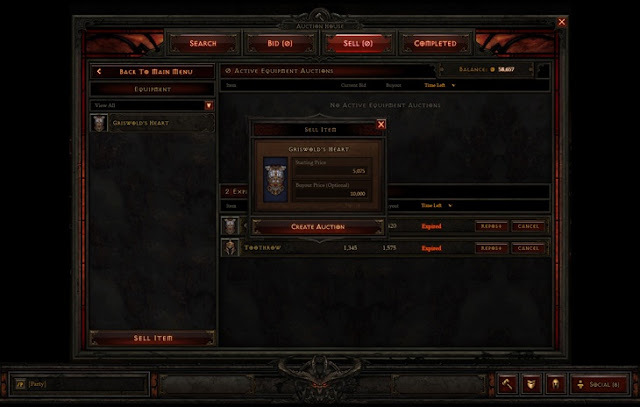 Loot, lots of loot is the reason you are probably here, well yes, there is lots, and class specific loot as well to put in your stash for those with multiple characters, but if you aren’t looking for multiple builds but more a vault full of coins then the auction house is where it is at, as it is easy to put items you can’t use or have outgrown up for cash and sometimes you can get rare items on the cheap. I can’t say that it isn’t without its faults and anyone that has played or tried to play on day one will know what I am going to lead off with. Server outages, yeah I went there, only because with a title that has so much hype, pre orders, and fans, someone dropped the ball when it comes to projecting the needed servers to handle the load. That or someone was being cheap, either way it was a very frustrating couple of days for us early adopters, that and you cannot play offline. My only other issue was with enemy encounters. What would happen is that an enemy would move towards my demon hunter and anyone that has used the class knows that distance is key. Well, my issue was that enemies would disappear for a second then suddenly reappear on top of my character, sure it is not a huge deal as it still played smoothly and was a lot of fun, it was just frustrating to have this bug or lag that happened more than it shouldn’t and have to suddenly change strategy because of it. This title was the last reason I needed to get my new computer. Not just for school or work, hell even photo shopping friends faces on humorous places, but because I wanted to make sure I would be able to smoothly play Diablo III. Sure some may not like it and are still pouting about the server issues, but you have to admit that when it is working, you forget about everything but the quest at hand. That is until the server goes down for maintenance again, rest assured they would be back at 2:30 PM PST. 2:29:50 PM…wiping sweat from brow, finger shaking above the login button. Go on and buy it, there isn’t any reason not to and join me, battletag dsalido81#1274, in my numerous characters’ quests for rare loot.